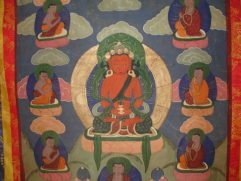 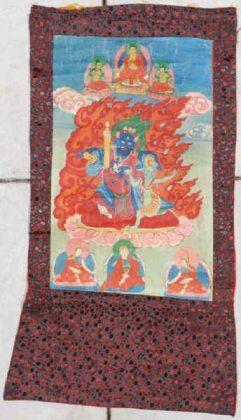 Tibetan Thangkas Watercolor Paintings Thangka were smuggled out of Tibet in the 1950’s during the Chinese takeover in the hands of missionaries who were attempting to save what they could of Tibet’s cultural heritage which was rapidly destroyed by the Chinese Red Army. 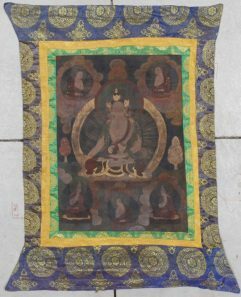 Although dating of Tibetan water colors is difficult at best, they are believed to be 19th century. 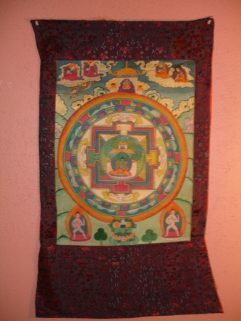 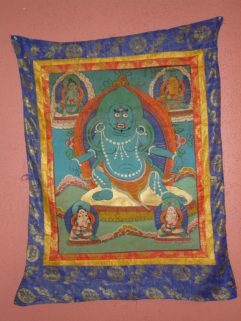 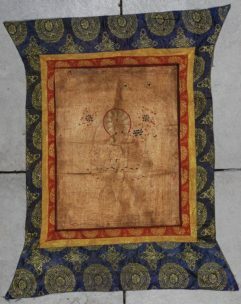 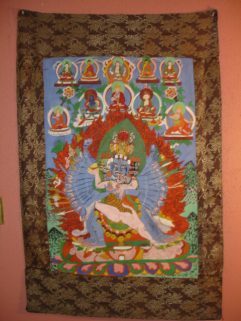 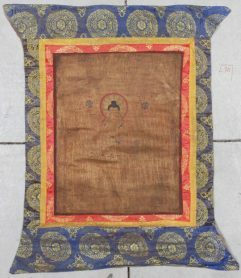 All the Thangkas are measured including the silk border. 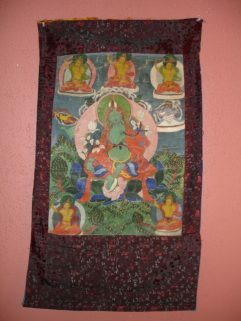 They are all in complete and excellent condition. 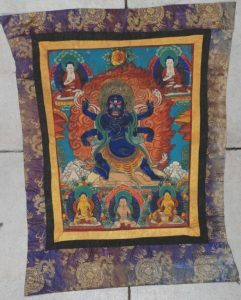 These Thangkas are stunning when framed under glass!